Leaders of the Carson Leslie Foundation are reminding the Texas cancer research community that the closing application date for the Individual Investigator Research Awards for Cancer in Children and Adolescents is Thursday, June 26th. The awards for these particular CPRIT grants will provide researchers with $500,000 in funding for a period of up to four years, and will be granted to Texas-based not-for-profit institutions or organizations that conduct laboratory, clinical, or population-based studies. The new RFA from CPRIT aims to “support applications for innovative research projects addressing questions that will advance knowledge of the causes, prevention, progression, detection, or treatment of cancer in children and adolescents,” according to a previous CPRIT press release. 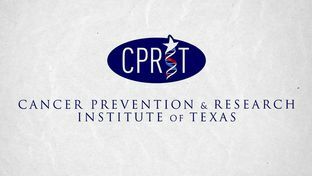 The closing date will mark the first time that the Cancer Prevention & Research Institute of Texas (CPRIT) will seek to specifically fund research projects for pediatric cancer, an initiative that has been advocated for and supported by the Carson Leslie Foundation. CPRIT will leverage its funding power to support research targeting children and adolescents suffering from deadly cancers in response to the growing alarm over a lack of treatment options for children with cancer, as well as no approval of any new drug in the country for treating pediatric cancer in the past twenty years. Conversely, adult cancer research and development for new treatments worldwide is one of the most well-funded and profitable sectors in all of the biotech industry today. “Clearly, more effective, less toxic treatments are needed for these diseases. However, few new therapies have been developed in recent years. Several reasons account for the paucity of new treatments, including the lack of interest on the part of pharmaceutical companies in developing treatments for cancers that account for only 1 percent of all cancer cases and the difficulty of collecting sufficient numbers of tumors for laboratory studies,” said CPRIT. As noted, the initiative is being supported by the Carson Leslie Foundation, which was named after the tragic death of adolescent Carson Leslie, son of the Executive Director Annette Leslie, who lost his battle to pediatric cancer. After Carson’s passing, Leslie dedicated herself to encouraging CPRIT and the biotech industry to further commit to childhood cancer research. She also sits on the CPRIT’s Advisory Council on Childhood Cancer. 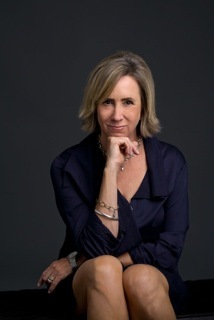 Annette Leslie, The Executive Director of The Carson Leslie Foundation has dedicated herself the past 4 years to honoring her son’s dying wish, “Momma, make sure they study those tumors in my brain, ’cause if those tumors can help some kid some day not die from cancer like I am, I’d like that, it’s hard to have cancer”, Carson Leslie. Annette explained to BioNews Texas that she is humbled to be part of CPRIT’s Advisory Council on Childhood Cancer and has learned so much by serving in that capacity the since Carson’s death. She explained that the grief of loosing her son has been eased by serving on CPRIT’s Advisory Council on Childhood Cancer plus building The Carson Leslie Foundation because both have truly allowed her to honor Carson’s dying wish. Last year, researchers from MD Anderson, the world’s leading cancer research center, publicly expressed their frustration and concern over the situation as well. “I’ve been frustrated for 28 years. The amount of dollars that go to fund pediatric cancer research is minuscule, 4 percent,” said Dr. Eugenie Kleinerman, head of MD Anderson’s Children’s Cancer Hospital. Mrs. Leslie and the Carson Leslie Foundation hope to drive the change necessary to move this number much higher. Leonor Mateus Ferreira is an emerging, young journalist, with a Bachelor's degree in Communication and post-graduate degree in Multiplatform Journalism. She is particularly interested in politics and current affairs, and is currently studying for a masters degree in economics and public policies.